This year I am growing two containers of silene or sculpit, an herb that grows wild in many Italian regions. 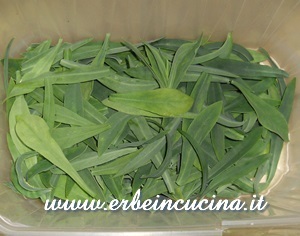 Tender tops and leaves are cooked and used in many dishes, from savory pies to pasta. This is a pot of Senshyu onions: it is a Japanese onion sowed last fall. Unluckily, only a stunted plant has survived the winter, and this spring I sowed it again. However the autumnal onion has rapidly developed, and I harvested it up while the other ones will continue to grow during the summer. I served together the sculpit with the onion as a vegetarian course. Boil a cup of sculpit leaves for a few minutes, drain and mix with a beaten egg and a tablespoon of grated cheese of your choice. 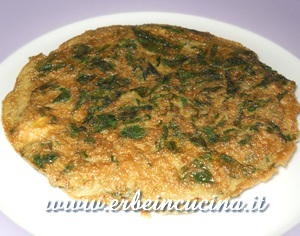 Cook the omelette normally, turning when golden brown. Peel a fresh onion and cut it into four segments. Place in a foil and drizzle with a little olive oil, Mediterranean Aromatic Mixture (or another similar mixture like italian seasoning mix) and grated cheese. 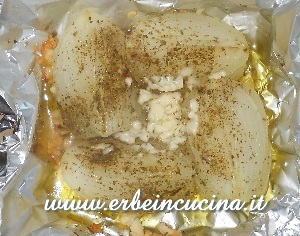 Close the foil and grill in the oven for 15-20 minutes. The doses are for one person. 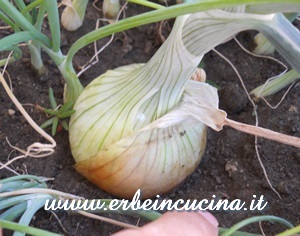 For the gratin is better to use a fresh onion: it will be more digestible and tasty. That all looks quite yummy! What does sculpit taste like? It looks like sage, but I can t imagine it having the flavor of sage since you use a lot of it in a dish. The flavor would have been too strong. I might try growing this sculpit, sounds interesting. Looks delicious! I have never heard of sculpit, wonder if it goes by any other name. 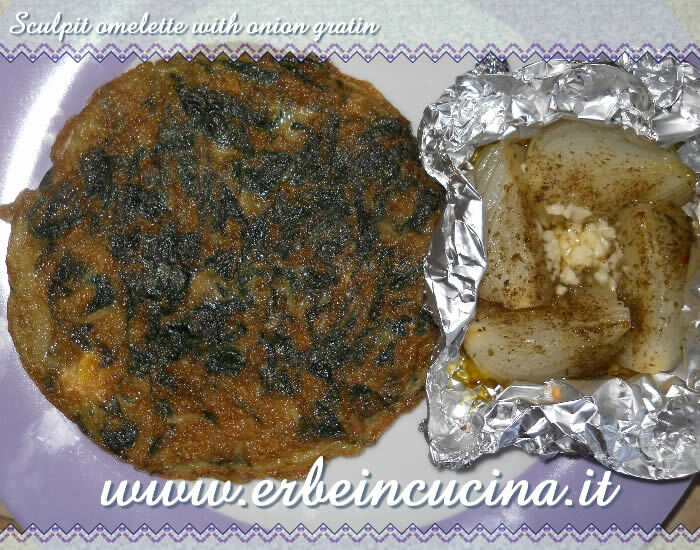 The omelet and baked onion look wonderful! Looks delicious! Never heard of sculpit either but it looks like it makes a yummy omelette.